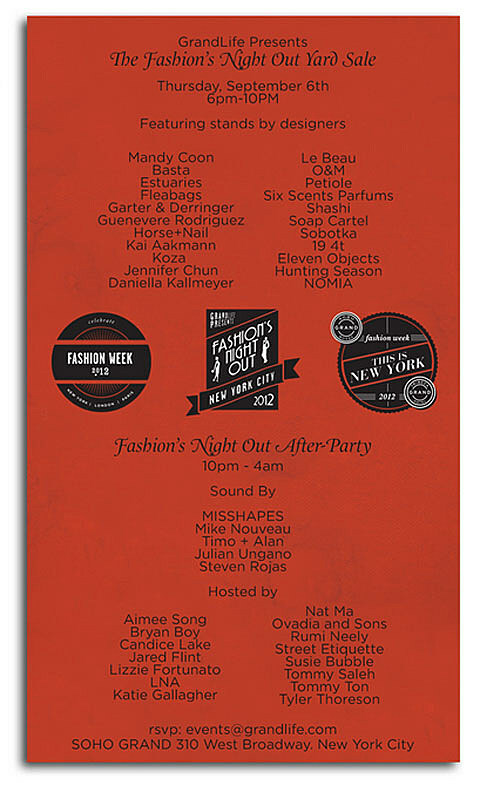 Tonight (9/6), the stylish and the lovers of free booze and music will be out in force on the streets of Soho, the Meatpacking District and other parts of NYC for Fashion’s Night Out. 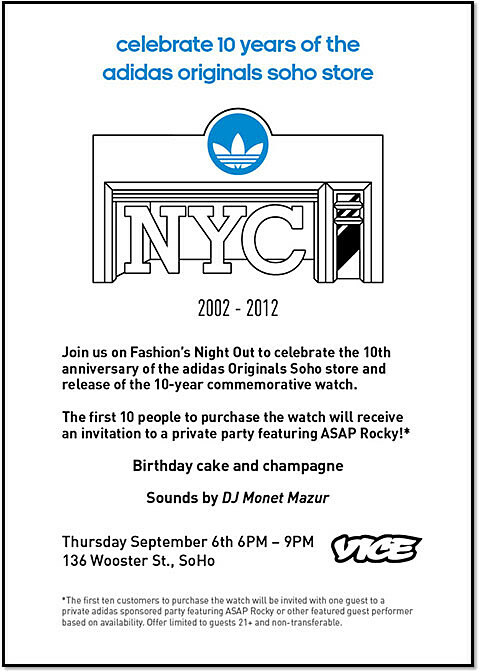 We posted a giant list of FNO music happenings yesterday and turns out there’s way more including: Yoko Ono reveals her new collection at Swarovski Crystallized; A$AP Rocky at Adidas Originals SoHo Store (see below); St. Vincent performing at at a speakeasy themed (and Boardwalk Empire-sponsored) party at Rag & Bone; Sonlange Knowles and Ed Droste of Grizzly Bear at The Ace Hotel; Theophilus London will be at The Rose Bar; Strokes guitarist Albert Hammond Jr. performs at Bloomingdale’s Soho; Wild Belle at Mulberry (update: this is a DJ set); Frankie Rose and Alex Winston at Theory and more. 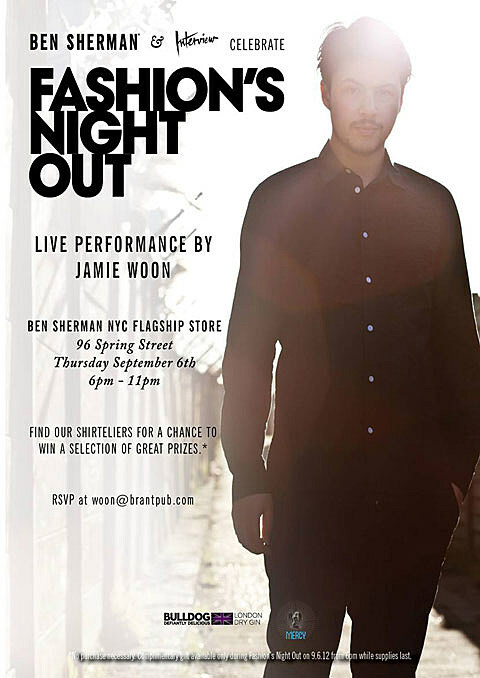 Basic info on these additional FNO performances/parties is below. 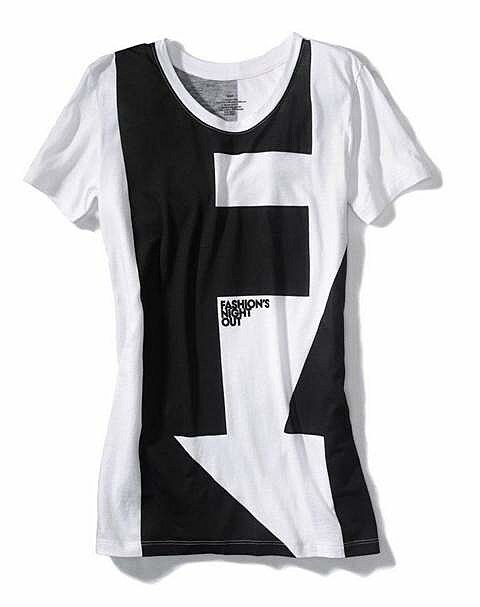 Our previous post is here. All events are free and open-to-the-public unless otherwise noted. 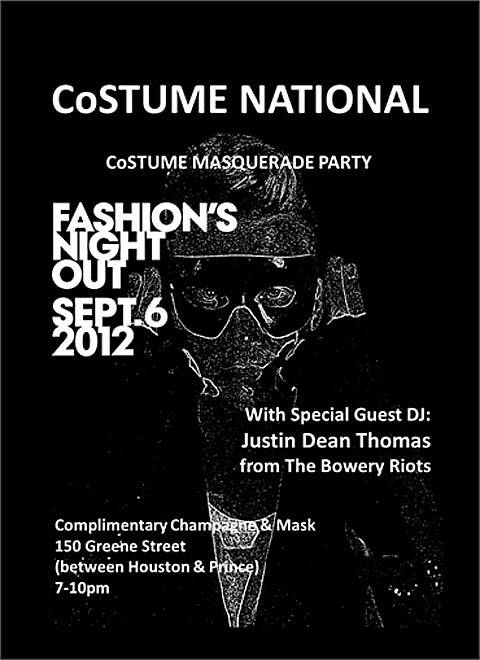 You can check the FNO website for more info. Some flyers below too. 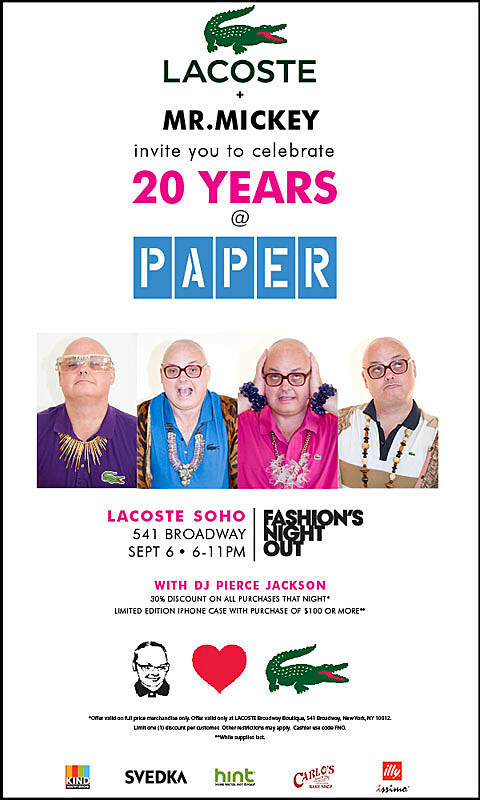 The SoHo Grand is hosting a “FNO Afterparty and Yard Sale” featuring stands from “22 fashion designers and beauty brands” plus MisShapes on DJ duty. @ Yard Sale 6 – 10 PM; After-party (RSVP) 10 PM – 4 AM. 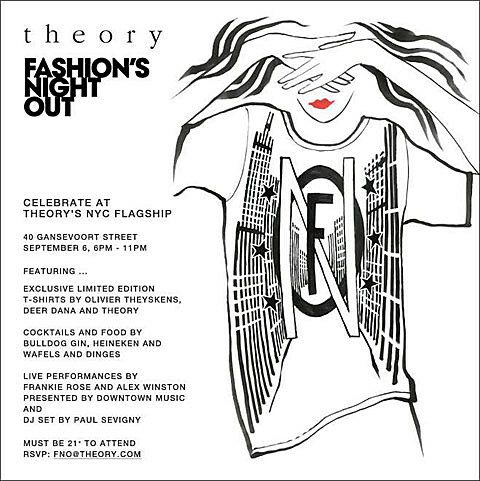 Frankie Rose and Alex Winston at Theory….